This Sunday 30th September sees us opening our gates to the public here at Tyre Hill Racing Stables for the first time since the addition & completion of our new & improved 58 box stable block. 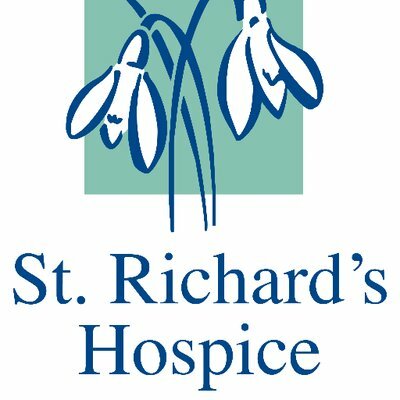 Gates open at 10.30am on Sunday & visitors can expect a parade of horses to commence at 11.30 followed by an equine swimming demonstration. 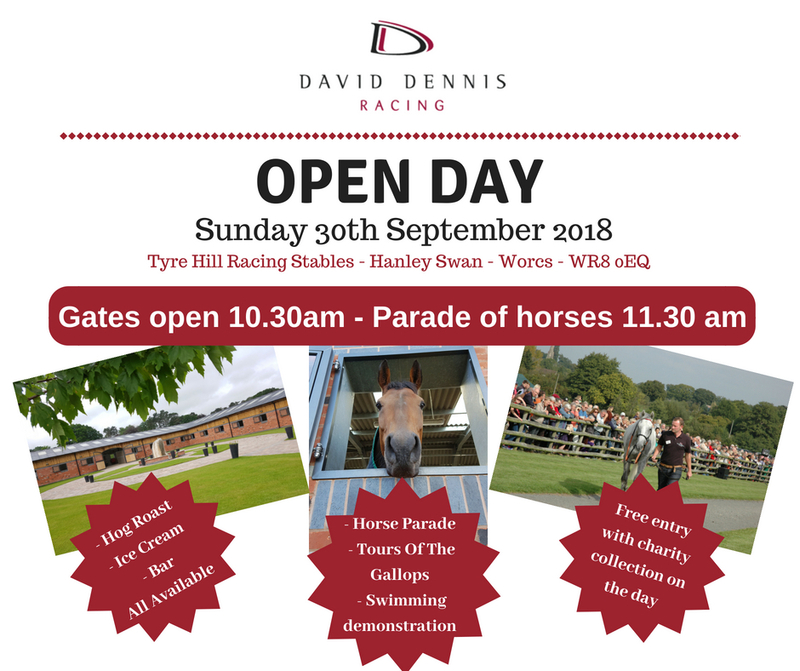 In addition to meeting all of our horses & the team here at David Dennis Racing, guests will be able to take a tour of the grounds & gallops by way of tractor & trailer rides & we will have a hog-roast, bar & ice-cream van all in attendance. Visitors will also have the chance to win a ‘FREE 6 MONTH MEMBERSHIP’ in our David Dennis Racing Club by taking part in our raffle. 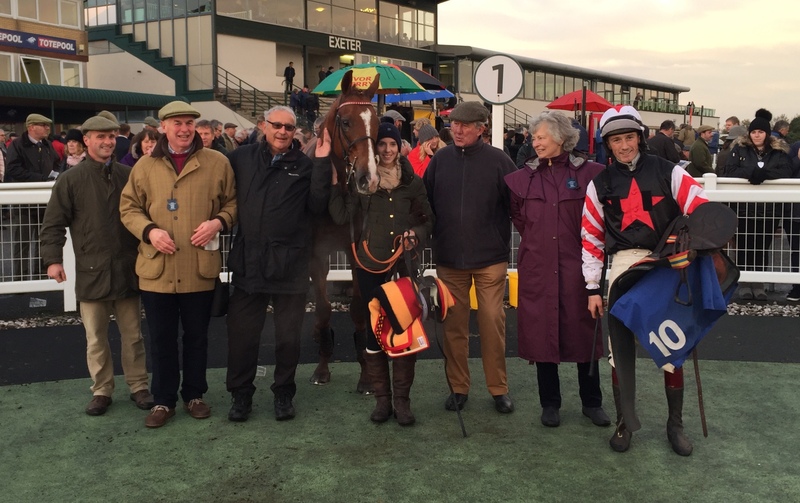 This will allow the winner to experience the highlights of owning a racehorse & to come & enjoy watching our club horse Norse Light at all of his engagements right up until March 2019. 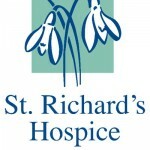 Entry will be free on the day & we will be collecting for donations in support of local charity St Richards Hospice.